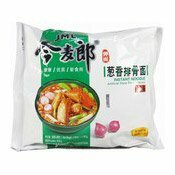 May contain traces of celery, crustacean, fish, milk, molluscs, mustard, sesame. 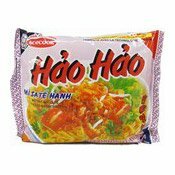 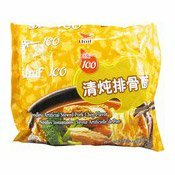 Ingredients: Noodles (82.8%): Wheat Flour, Palm Oil, Salt, Flour Treatment Agents (E500, E451), Stabiliser (E501), Thickener (E412), Antioxidant (E306). 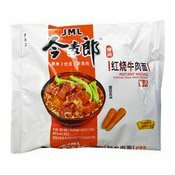 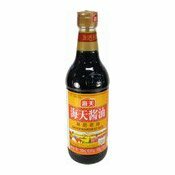 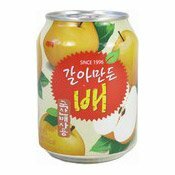 Seasoning Sauce (16.4%): Sugar, Water, Rapeseed Oil, Soy Sauce (Water, Soybean, Salt, Wheat), Flavour Enhancers (E621, E635), Colour (E150c), Dextrose, Molasses, Vinegar, Salt, Spices, Hydrolysed Vegetable Protein, Tomato Powder, Acidity Regulator (Citric Acid), Flavouring, Green Onion. 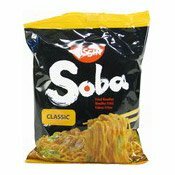 Simply enter your details below and we will send you an e-mail when “Instant Soba Fried Noodles (Classic) (日清日式燒炒麵)” is back in stock!